Bulgartransgaz EAD is registered as Local issuing office (LIO) for EIC codes by the Central Issuing office (CIO) under number 58. EIC code stands for Energy Identification Code, a unique energy code used in electronic data exchange on the electricity and gas markets. 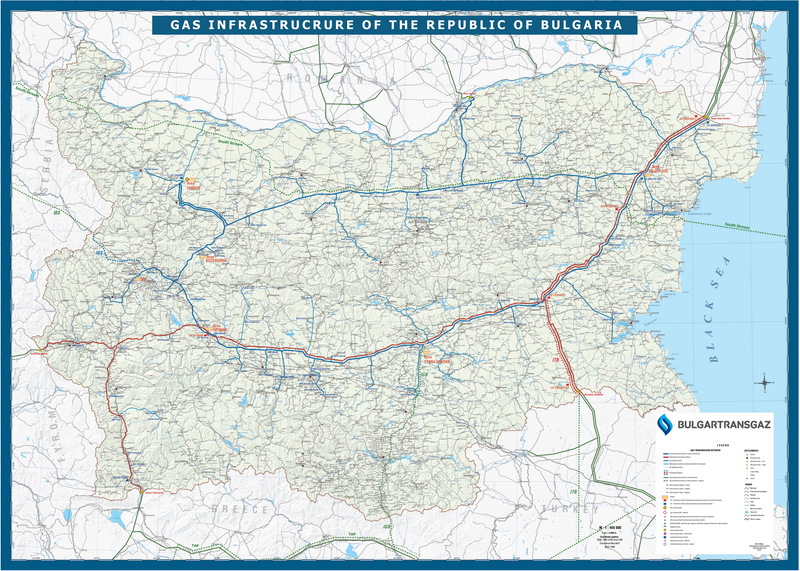 The EIC code identifies objects from the electricity and gas infrastructures, balancing zones, production facilities, facilities for natural gas storage, LNG facilities, important points of the gas transmission system/power grid (entry, exit, entry-exit and interconnection points), and market participants. The EIC code can be of local or international significance. A legal entity having an EIC code with an international significance may use the code on every natural gas and electricity market in Europe. The presence of an EIC code does not give an access to a market. To participate in a market, it is necessary to fulfill the requirements and the rules of the respective regulatory bodies. The EIC codes serve to identify the legal entities and/or objects from the energy infrastructure and are applied in the electronic data exchange between market participants – nominations, schedules, approvals, quantity allocation, reports to regulatory authorities etc. The EIC code consist of 16 characters. The first two of them refer to Issuing Office code. The third character describes whether it concerns a market participant (operator, trader, balancing party) (X), a balancing zone (Y), an entry or exit point (Z), for production, storage or an LNG facility (W). The following 12 characters can be letters (A-Z), numbers (0-9) or dash (-). The final character is a check symbol generated by a logical algorithm to validate the code. Other relevant information on the EIC codes is available on the web-sites of ENTSO-E and ENTSOG. The objective of this page is to allow persons involved in the energy market to get information on the Energy Identification Code (EIC) necessary to carry out electronic data interchange (EDI).Only EIC codes published on the CIO or LIOs’ websites are to be considered as valid EIC codes. In no event shall Bulgartransgaz as LIO be liable for any damages of any kind, including, but not limited to, direct, indirect, general, special, incidental, or consequential damages arising out of any use of the information obtained using this site. In addition, our goal is to minimise disruption caused by technical errors. However, some data or information on this page may have been created or structured in files or formats which are not error-free and we cannot guarantee that our service will not be interrupted or otherwise affected by such problems. Bulgartransgaz as LIO accepts no liability with regard to such problems incurred as a result of using this site or any linked external sites.